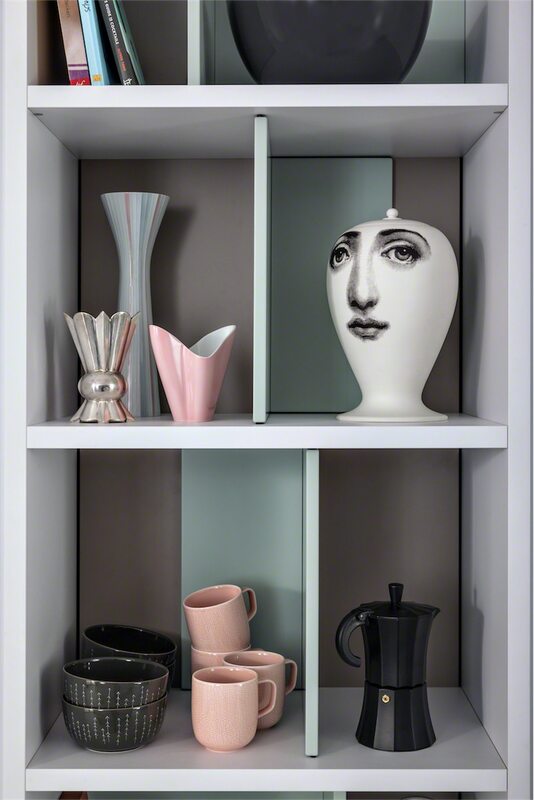 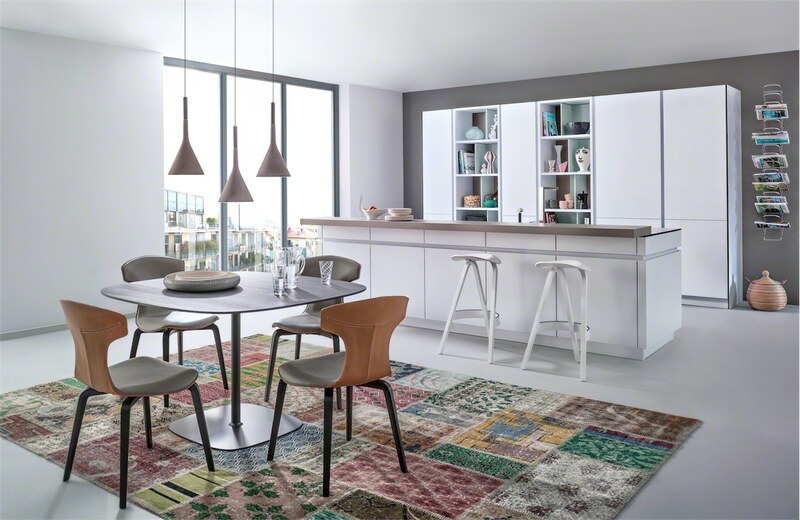 The CERES | CORE-A from Leicht is a modern stylish addition to any home. 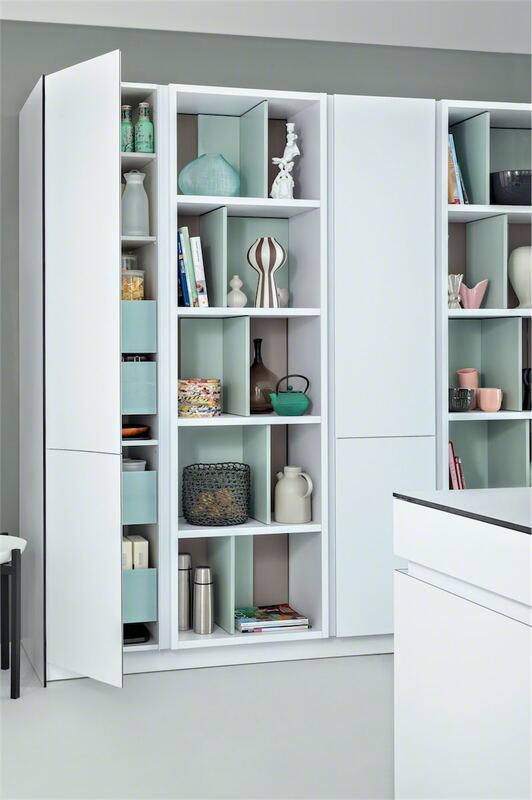 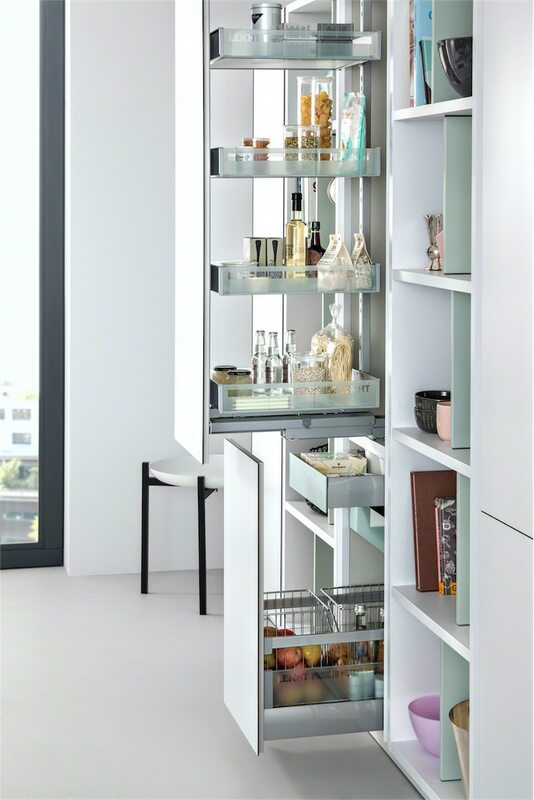 Open shelving with mint green elements inside add a modern look and freshness to the kitchen. 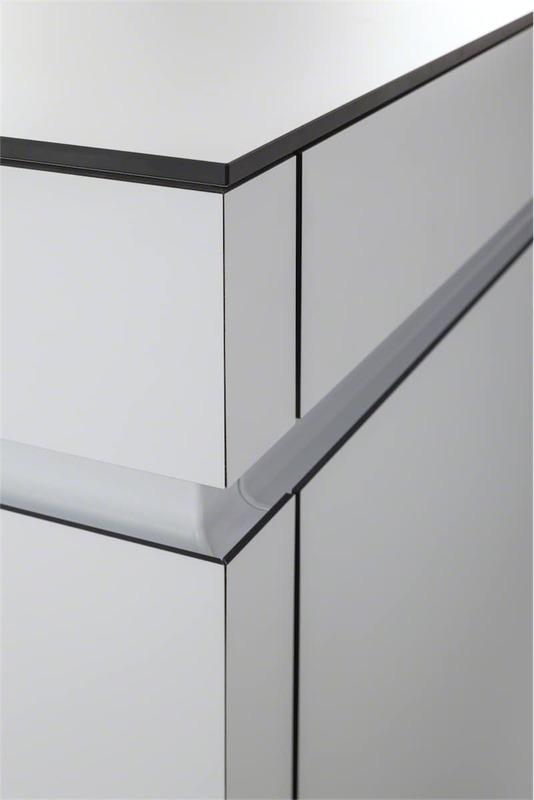 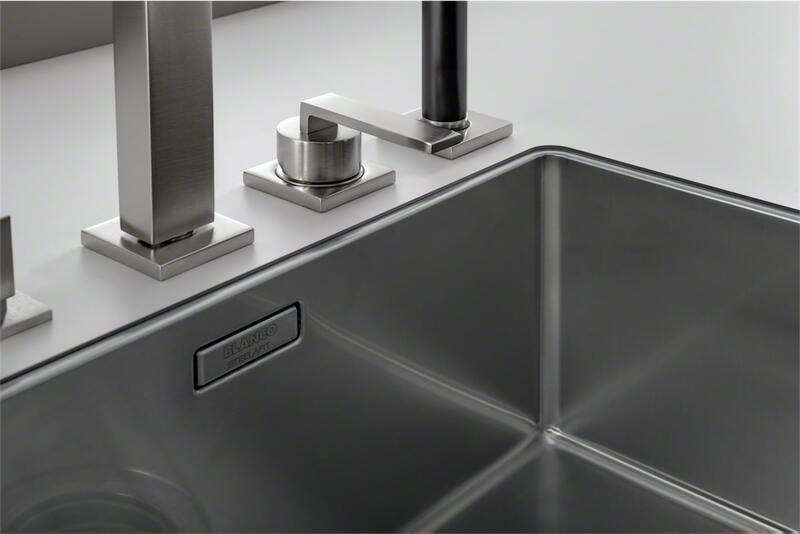 The black core 4mm worktop is a striking contrast element that shows off the units. 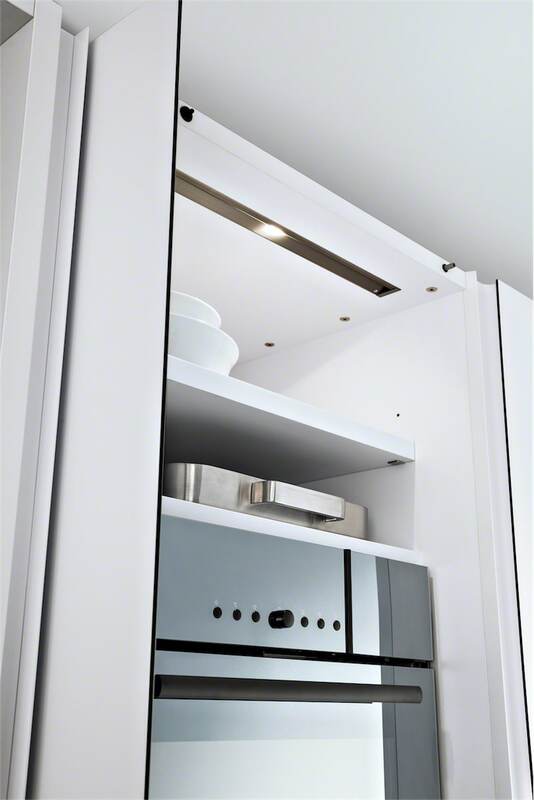 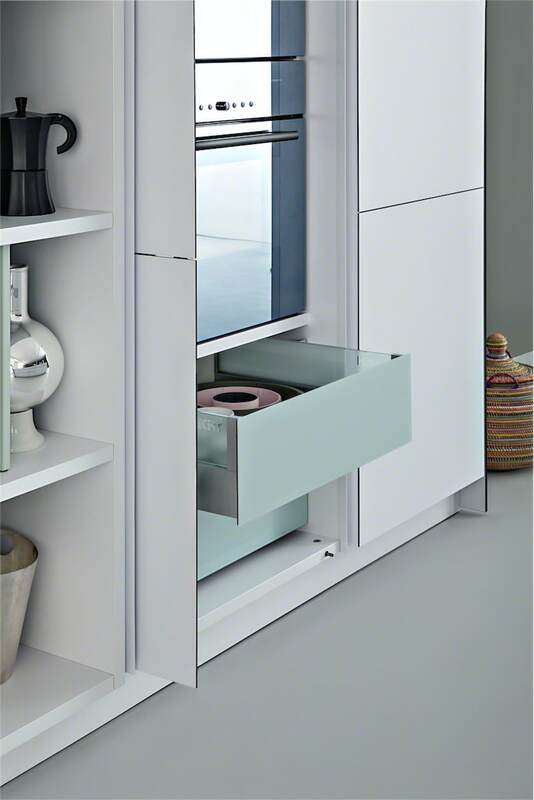 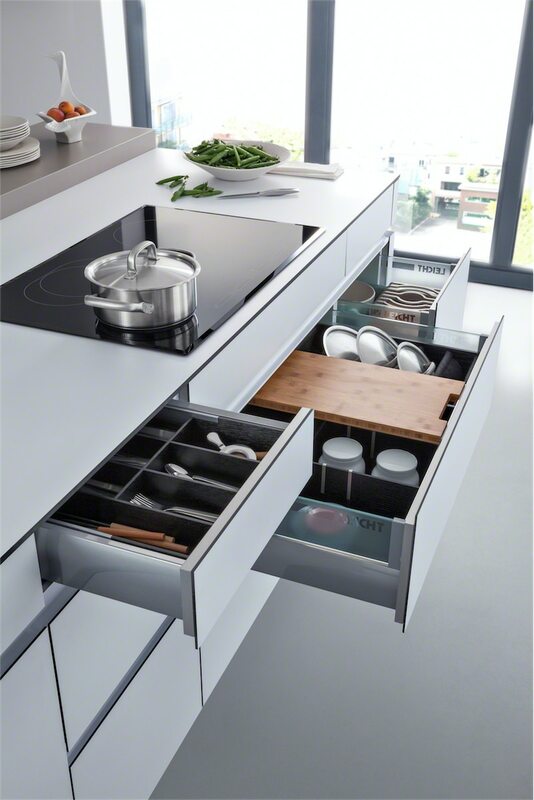 The kitchen has a minimalist look with the horizontal and vertical recessed handles being formed by the overhang of the front material allowing access to all your drawers and cupboards. 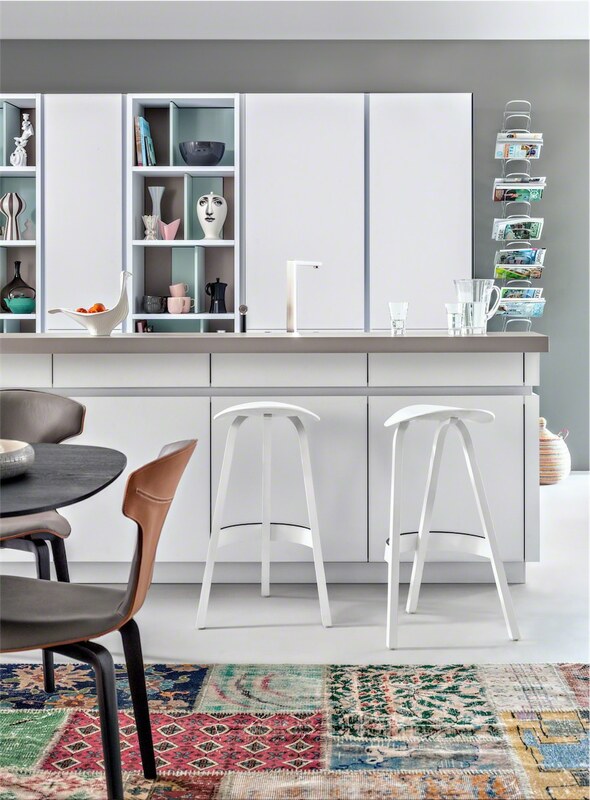 If you are looking for a modern, minimalistic look with pastels shades setting a calm and cool look then this could well be the kitchen for you.